The cloisters by Sir Robert Smirke. The remarkable Lady Anne Clifford devoted much of her time to restoring the neglected estates, castles and churches in the area. Her work is much in evidence at Appleby, – Appleby Castle was her home for a period of time. Both Lady Anne and her mother, Lady Margaret, are buried in St Lawrence’s Church and commemorated by splendid tombs. In her time there were many beggars, and her concern for those old women in dire need led her to build the almshouses, now called the Hospital of St Anne, near the Castle entrance. Boroughgate. St Anne’s Hospital, with its impressive entrance, is a little further up the hill. 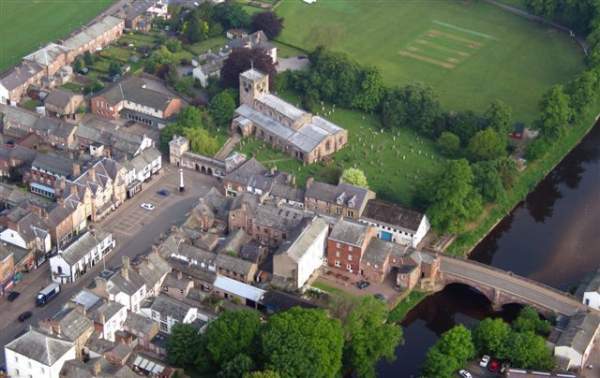 St Lawrence’s Church, the Cloisters, the Low Cross, the TIC and the River Eden. Appleby has a railway station on the Settle-Carlisle Railway, and is a good place to see the steam trains that often pass. (See the previous link for lots of charter steam pictures). 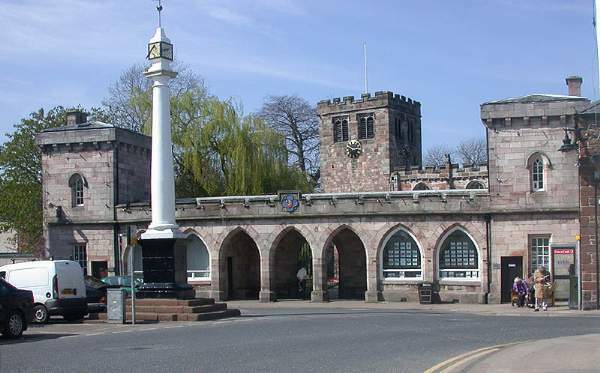 Appleby is on or near to the Cumbria Cycle Way, the Westmorland Way, the Pennine Way and the Coast to Coast Walk. The Appleby Horse Fair, set up by charter in 1685 as a fair for horse trading, runs for a week in June, ending on the 2nd Wednesday in June. Today it is world famous, the largest of its kind in the world, attracting a huge gypsy gathering. 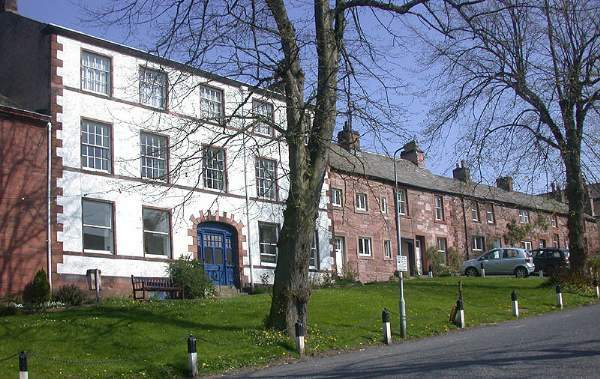 Milburn Grange Holiday Cottages – 7 pet friendly cottages in a lovely rural setting just 6 miles from Appleby.